Columbus, Ohio - The Jefferson Country Club in Blacklick, Ohio, was the setting for the Book Release Celebration of Rivers of Grace: Poems of Redemption and Restoration, written by Melanie Houston. Houston also unveiled her new venture, Alabaster Box Media Group, a multimedia publishing house. Alabaster Box Media Group was founded in 2012 and Rivers of Grace is the company's first release. The book cover is a painting Houston commissioned from internationally celebrated artist Lydell Martin of Atlanta, Georgia. Signed and unsigned prints are available for purchase. Houston is no novice to the publishing industry. Previously, she served as the executive editor for Who's Who Publishing under the ownership and management of C. Sunny Martin, for more than five years. She also served as an executive editor for Purpose magazine, an international publication, as well as other regional publishers. Houston is the founder of Vision Resources, Inc., a management consulting firm for profit and nonprofit businesses and organizations. Vision Resources provides technical writing, proposal/bid response services, and workforce development expertise. Clients include national/international community and social service organizations, chambers of commerce, and retail, utility, telecommunications, publishing, and information technology firms. Houston's next release titled "When the Devil is Beating His Wife©," will follow in the summer of 2013. It is co- authored by Houston and Dr. Iris Cooper, one of the founders of Glory Foods. Houston is a graduate of Capital University with a Bachelor of Arts degree in art therapy. She received a Master of Arts degree from The Ohio State University, with a major in labor and human resource management. She gives back to the community by serving as a member of the Women's Service Board of the King Arts Complex and a Kid Coach for Future Possibilities, Inc. Houston resides in Columbus and is married to Daniel, President and CEO of The 1750 Group, Inc. /Daniel Houston & Associates. To purchase books and prints, you can visit Melanie at www.alabasterboxmedia.com. Columbus, Ohio – The second publication of Alabaster Box Media Group, When the Devil is Beating His Wife: A Christian Perspective on Domestic Violence & Recovery was introduced to the Columbus community on September 26, 2013, at the Homeport Gallery in the Historic King-Lincoln District. A standing room only crowd of more than 100 were in attendance to celebrate the new “self-help drama,” written by co-authors Dr. Iris Cooper and Melanie Houston. The book is written to help victims and survivors of domestic abuse break free and create a new life in 90 days. Through the stories of three fictional women, readers learn the signs of abuse and methods to safely leave. The book also includes detailed guidance and resources for victims to protect privacy and assets, and to maintain their self- esteem during the three-month transformation. The book cover was created by artist Lisa Cliff of Blind Faith Art. To meet the troubled women in the book, a book trailer was created by Michael Tavares (Tavtel Media) and is posted at www.alabasterboxmedia.com and www.justaskiris.com. Dr. Iris Cooper hails from Evansville, Indiana. Her career in Columbus included banking, government, and community development. She is the owner of JustAskIris! an entrepreneurial consulting firm. Iris is one of the founders of Glory Foods, Inc., a national food marketing company, and has also operated a mortgage business and retail gift shop. Her column, “The Bottom Line,” appears in GrapevineColumbus.com with commentary on small business issues. Her column and radio show Just Ask Iris provided business information to the Columbus market for many years. Iris obtained a Bachelor of Arts degree in journalism and an MBA in marketing from Indiana University. She earned a Doctorate of Business Administration from Walden University, majoring in entrepreneurship. She teaches business courses at Franklin University and Columbus State Community College. Melanie Houston is no novice to the publishing industry. She is the CEO and founder of Alabaster Box Media Group. Previously, she served as the executive editor for Who’s Who Publishing under the ownership and management of C. Sunny Martin. 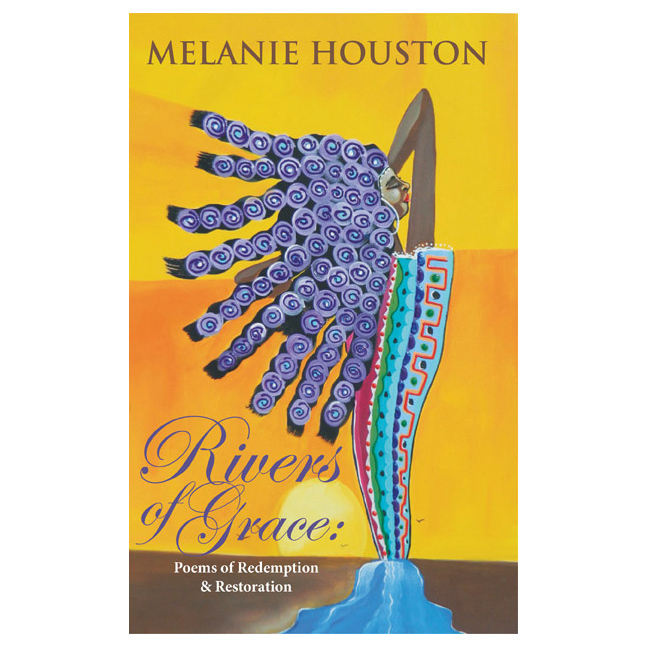 She is also the author of Rivers of Grace: Poems of Redemption and Restoration. Additionally, Houston is founder of Vision Resources, Inc., a management consulting firm for profit and nonprofit organizations. Vision Resources provides technical writing and proposal/bid response services, and workforce development expertise. Clients include national/international community and social service organizations, chambers of commerce, and retail, utility, telecommunications, publishing, and information technology firms. Houston earned a Bachelor of Arts degree in art therapy from Capital University. She received a Master of Arts degree from The Ohio State University, with a major in labor and human resource management. She resides in Charlotte, North Carolina, and is married to Daniel, president and CEO of The 1750 Group, Inc. /Daniel Houston & Associates. To purchase books, ebooks and prints, please visit www.alabasterboxmedia.com. Children's Literary Classics is pleased to announce that the picture book, My Afrikah Hair, written by Melanie L. Houston and illustrated by Philece Roberts, has been selected to receive the Children's Literary Classics Seal of Approval. The CLC Seal of Approval is a designation reserved for those books which uphold the rigorous criteria set forth by the Children's Literary Classics review committee, a team comprised of individuals with backgrounds in publishing, editing, writing, illustration and graphic design. My Afrikah Hair, by Melanie L Houston is a wonderfully empowering book which promotes a healthy love of self and one's heritage. Going beyond self-acceptance, to embracing pride in the traits that make one unique, this book is beautifully written and gloriously illustrated. Told in verse, My Afrikah Hair helps readers of all ages find strength in their lineage as they are reminded of the beauty in a majestic African mane, along with all that entails. This book has many lovely layers, all of which point to the fact that God's creatures are fearfully and wonderfully made in his image. Recommended for home and school libraries, My Afrikah Hair has earned the Literary Classics Seal of Approval. Children’s Literary Classics, an organization dedicated to furthering excellence in children’s literature, takes great pride in its role to help promote classic children's literature which appeals to youth, while educating and encouraging positive values in the impressionable young minds of future generations. To learn more about Children's Literary Classics, you may visit their website at www.clcawards.org or www.childrensliteraryclassics.com. Copyright © 2017 Melanie L. Houston. All Rights Reserved.